In CPD information - part 1 we looked at what CPD is, what you need to do to create your own CPD plan and the types of activities that can be used for CPD. In part two we look at the specific CPD requirements of a number of the leading professional bodies and how they monitor this in their members. The following ten professional bodies all have CPD requirements for membership. All appropriate Spearhead open courses (bookable courses or workshops) can count towards these requirements and a one day workshop will, for example, counts as 6 CPD hours. CPD is mandatory for all APM members. 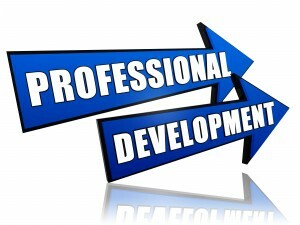 Chartered members are required to undertake a minimum of 35 hours formal and informal CPD each year and to record their development on an individual CPD log. The APM does not routinely check every member’s CPD record, but will audit them at their discretion. CPD is mandatory for all CIPD members. The CIPD does not set rules about the amount of CPD hours to be completed. Members can log CPD evidence in the CIPD database. The CIPD will sometimes conduct inspections of CPD logs. CPD is mandatory for all members of the CMI, however there are no specific requirements relating to the number of hours of CPD or the number of learning interventions. The CMI expects all members to keep records of their ongoing CPD and samples of these are inspected. If a member cannot demonstrate that they undertake CPD then they may have their chartered status removed and their membership downgraded accordingly. CPD is mandatory for all members of the ICSA. 20 hours CPD per year are required, of which five hours must be from formal learning. CPD is voluntary for IDM members. The IDM offers an accreditation scheme for CPD which requires 35 hours of CPD per year. This is then used to determine your formal membership and/or qualification honorific. CPD activities are recorded via the members online account and these are sampled randomly by the IDM. CPD is mandatory for all members of the IoD. Chartered Directors are expected to undertake c.30 hours CPD per year and to log evidence of this online. The Iod samples a proportion of the CPD logs every year and may then require supporting evidence (such as course attendance certificates) from those members. CPD is voluntary for membership but can be used as an alternative to formal management qualifications to join the ILM at a particular level of membership. CPD is voluntary for ISMM members, but the ISMM recommends that at least 20 hours of CPD are undertaken by all members every year in order to maintain their existing skills and knowledge. CPD logs are monitored at random by the ISMM members committee. This information was correct at the time this blog was posted. Please check with your professional bodies website as individual membership requirements can and do change.